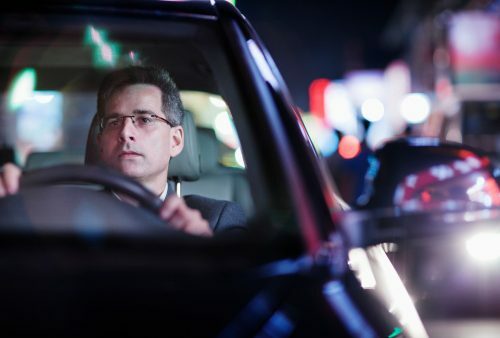 For many people, especially older people, the beauty of nighttime is getting obscured by a condition called nyctalopia, more commonly referred to as night blindness. Not only can these people not appreciate the beauty of night, they cannot easily do their regular day-to-day activities like reading, knitting, driving, or even walking at night. When you go for a regular eye test, your eyesight is checked in good light. In most cases (if not all), the optometrist does not test for night blindness. This is not ideal practice, considering night blindness can lead to many other health complications. The most common complication is injuries sustained because you could not see obstacles clearly while driving or walking. These injuries can be minor, or they could be serious enough to land you in a nursing home. Another problem with night blindness is that people lose their confidence, they stay at home as they are afraid to go out, and this could lead to mood problems, joint problems, even digestive problems. But in most cases it is because of dietary deficiencies. This type of night blindness can easily be avoided with a few tricks and tips, and a little bit of dietary planning. Fish is a highly nutritious source of omega-3 fatty acids, and as such it is a must for good vision and also for night vision. Eat wild-caught salmon, sardines, and herring, which are cold-water fish that are an excellent source of DHA. DHA is the fatty acid that makes up as much as 50 percent of the photoreceptors in the retina.